D.C. Mayor Bowser Wants Redskins Back in D.C.
New Push to Bring Redskins Back to D.C.
D.C. Mayor Muriel Bowser reopened the debate about bringing the Washington Redskins back to the city. The mayor asked her followers on Twitter to weigh in Tuesday about the potential for the Washington football team to return to the site of RFK Stadium or another location in D.C.
"We know that the perfect location for the Redskins is where they played for decades very successfully. We have the infrastructure sitting on top of a Metro station," Bowser told News4. "We have the ability to make [RFK] more than just a sports stadium. The surrounding neighborhoods want more play spaces, want more active areas for children and families," the mayor said. Team owner Dan Snyder said last year that the football team was designing a new stadium. Snyder said the team was considering locations in D.C., Maryland and Virginia. Plans for D.C. could include a new stadium to be built at the site of RFK. The Redskins played there between 1961 and 1996 but moved to FedEx Field in Landover, Maryland, in 1997. The team's lease at FedEx Field runs for another 12 years. "There's no better site than the RFK site in the metropolitan region," said Council member Jack Evans of Ward 2. "Our hockey team, basketball team, soccer team, baseball team, all located in the city, are all doing great." Ward 6 Council member Charles Allen, who represents the area including RFK, said he does not support the team returning there. At-large Council member Anita Bonds offered conditional support. "Residents would love to bring the ... team back to RFK ... but I think it is important that affordable housing is part of the deal and the team's name is changed," Bonds said. Native American groups say the team's name is offensive and have mounted campaigns calling for it to be changed. 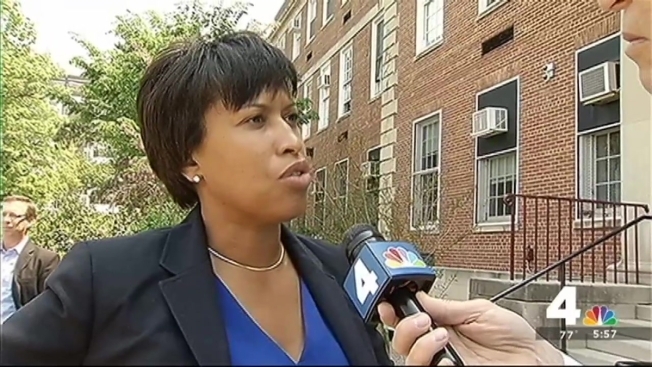 Mayor Bowser told News4 in a January interview that she agrees the name should be changed. "I think they have to change their name, but we'll get to that conversation," she said.